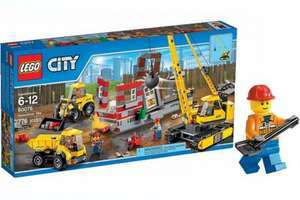 I was looking on the listing earlier of reduced Lego sets at Amazon as my son wants this for Christmas - but it wasn't included in the Amazon deal. I found this at Smyths toys - £47.99 available for home delivery or click & collect. RRP everywhere else seems to be £57 - £60. Possible 3% Quido or 3.03% Topcashback too.